In this article, you find out how you can make your garden more insect-friendly and boost biodiversity. Insects are a substantial food source for many other animals and therefore indispensable for a healthy ecosystem. Hedgehogs, toads, songbirds, and lizards all need a plentiful supply of insects to be able to stay healthy. Many insects are also beneficial in themselves, as they control pests directly. Some insects feed on almost every type of pest you find in the garden. The basis for developing an ecological balance is lacking if there are few insects. Therefore, it is important to make the garden as insect-friendly as possible by offering insects many different habitats to settle in and by minimizing the harm to them. A successful long-term snail and slug control also builds on measures that promote insect life. 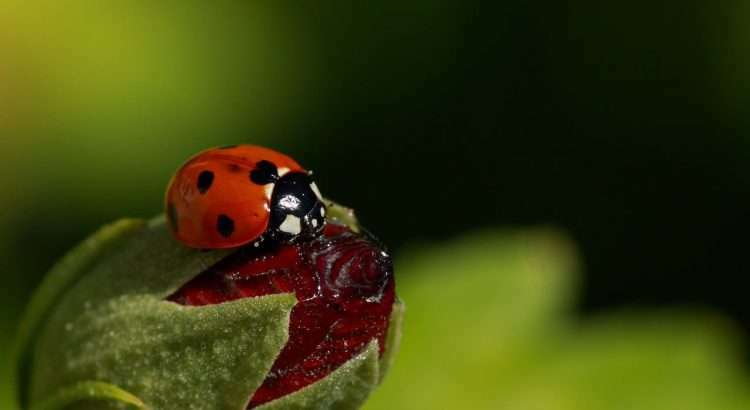 Nature conservation and sustainable pest control begin by making the garden insect-friendly. 1 Which Insects Control Slugs and Snails? Which Insects Control Slugs and Snails? There are many different types of insects that eat snails, slugs, and their eggs. For example, the larvae of fireflies are industrious slug and snail hunters. They feed almost exclusively on them. The firefly larvae follow their mucus trail and kill them with poison. The fact that fireflies became extinct in many places has contributed to the recent slug and snail booms. Various ground beetles are natural enemies of slugs. 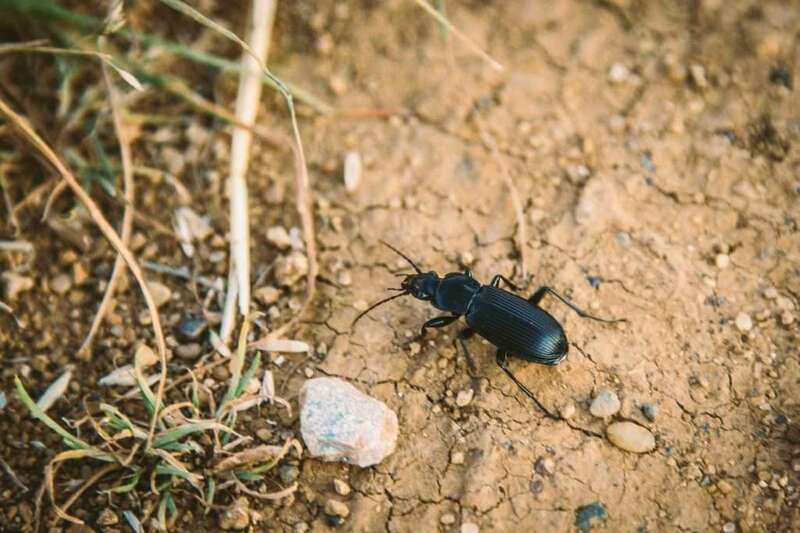 Some ground beetles are even called snail hunter beetles. Among them are species such as the golden ground beetle, the violet ground beetle, and the Cychrus genus. Moreover, many carrion beetles feed on slugs and snails, including the rich family of burying beetles or species such as Phosphuga atrata. Furthermore, the huge family of rove beetles feed on slugs and snails. For example, the Devil’s coach-horse beetle is known to pick slugs for a meal. Also, many beetle larvae have specialized in eating the slow and defenseless animals. For example, the red-and-yellow larvae of the soldier beetle family – commonly known as leatherwings – eat slugs and snails. 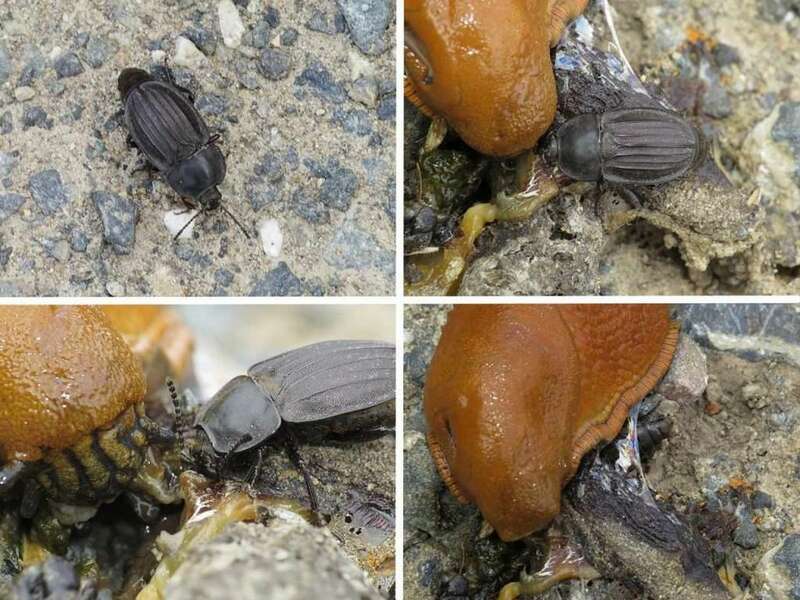 The following video shows a larva of a scavenger beetle attacking and killing a slug. This video illustrates that even a relatively small beetle larva can overwhelm a much bigger slug. Similarly, the eggs of slugs and snails are a source of food for insects, e.g., centipedes. These nocturnal animals can be extremely aggressive, and they even eat small young slugs. Many insects known as harvestmen – Opiliones – are also keen to eat the eggs of slugs. In Austria, harvestmen of the family Ischyropsalididae are even called snail-harvestmen as they feed almost exclusively on slugs and snails. Although it is difficult to believe, there are also flies that hunt for snails, for example, marsh flies, whose larvae feed on slugs and snails. That is why marsh flies are sometimes called snail-killing flies. There have been attempts to use these flies in natural slug control, but so far without success. This list shows that many insects are direct enemies of slugs and snails. 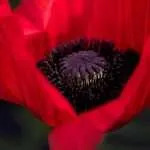 It is therefore of great value for the environmentally-friendly slug and snail control to promote them and to provide them with habitats in the garden. Many insects need special conditions to survive and reproduce. Some species are highly specialized in a certain niche and dependent on a specific plant or prey to be able to survive. 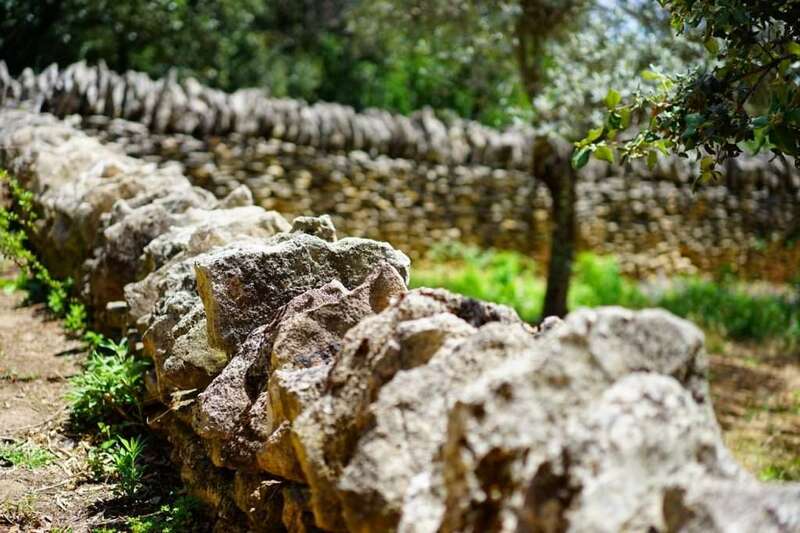 Therefore, one of the first steps for every garden is to promote the diversity of plants and to cultivate as many different native herbs, flowers and vegetables as possible. Most of these plant species are flowering. They are a treat for bees and all other insects that depend on pollen. Furthermore, nettles are vital for a wide range of insects; for example, different species of butterfly depend on them. To provide blooming herbs and flowering plants throughout the whole garden season is the key element of an insect-friendly environment. Double flowers, e.g., dahlias, begonias, and most roses, should be avoided as they do not provide pollen. After the winter, insects are weak and need support. Often, insects also lack flowers in the late summer and fall. 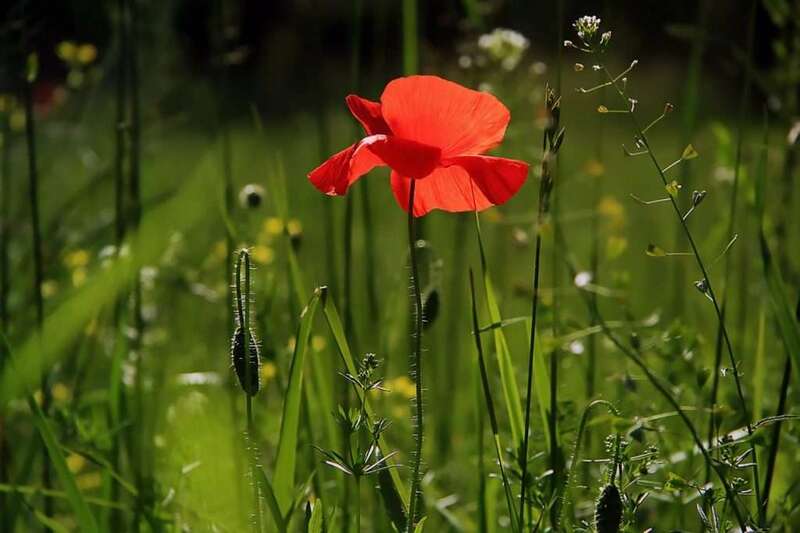 You could dedicate one area of your garden to grow a flower meadow that you mow only twice a year. 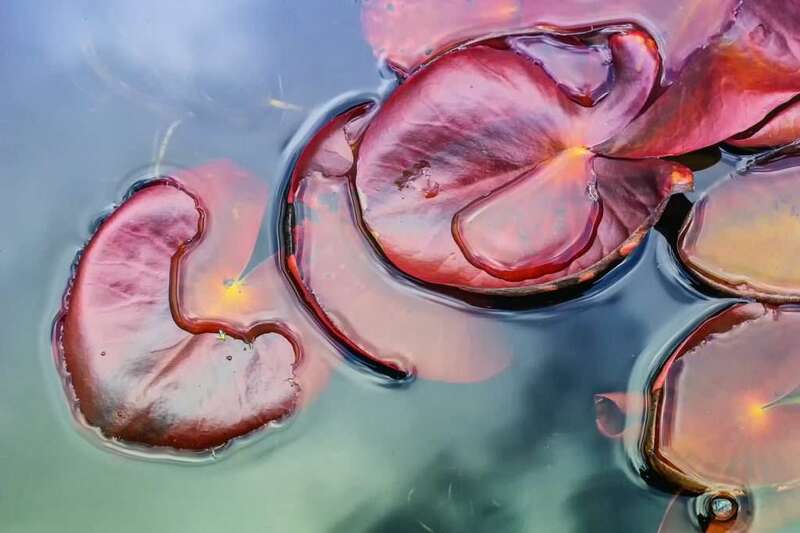 Do you have space for a lotus pond? Building a garden pond is another way to promote insects. Not only insects, but also countless animals will benefit if they find an easily accessible watering place in your garden. Consequently, a small pond increases the biodiversity considerably. Many natural enemies of slugs and snails will profit, e.g., blackbirds, toads, and other amphibians. Often, these animals cannot settle permanently in your garden without access to fresh water. If there is no room for a pond, perhaps you can set up a small bowl of water. 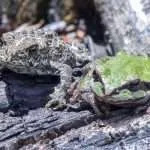 If you would like toads, newts, and frogs to settle, you should avoid putting fish in your pond, as most fish feed on amphibians. Niches are a space for nature to bloom. Furthermore, you can create as many niches as possible: be a little lazy! Nearly every place that you leave untouched can become a niche that will attract specialized inhabitants. You can arrange niches in different areas of your garden apart from each other. Left alone, nature can boom, and all types of plants and animals will love it. These niches will become little oases that create biodiversity, and the whole garden will benefit. Between stones, many animals feel safe. Property boundaries can become rich and beautiful habitats. Dry walls provide a warm place where insects and many other animals, such as lizards, can settle. They are also used as a refuge to hibernate in winter. Moreover, you can plant hedges and shrubs around your property. They will become a refuge for many animals where they can thrive relatively undisturbed. A scythe is the most insect-friendly way of mowing. You can do many insects a big favor if you mow less often and one part at a time. Flowers provide a basis for many food chains in the garden. 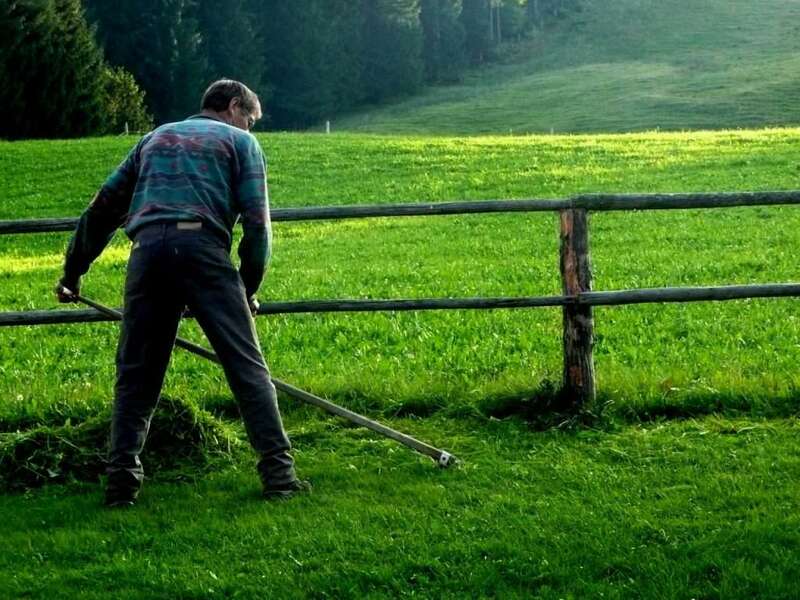 If a gardener mows diligently, he eliminates this source of food almost entirely. Consequently, many species suffer, for example, solitary bees and butterflies. Therefore, it is a good deed to become a little lazy and leave the mower in the garden shed more often. Then clover, daisies, dandelions and other herbs will have a chance to bloom from time to time. Furthermore, try not to mow your lawn in one go but maybe one time the right side and another time the left side. That might always leave one part with flowers, and you do not remove all food sources in one go. If you have some hidden areas in your garden, you can mow them maybe only twice or three times a year, and it is best to use a scythe. Many species will thank you. Finally, try to use the mower only when you see that no insects, e.g., bees, are flying or you risk killing them unnecessarily. Usually, in the evening when it is getting colder, bees and other insects stop collecting pollen. Many beetles and bees need dead wood as a habitat for their larvae. Another important habitat for insects is dead wood. This word is misleading because dead wood is full of life. Dead trees are a necessity for an incredible number of species. Therefore, you do many insects a huge favor if you lay out large pieces of different woods. Many types of animal will live under the bark and inside the wood. Beetles and their larvae cannot settle without dead wood in various stages of decomposing. When they leave, bees and other insects follow and nest in the abandoned holes. 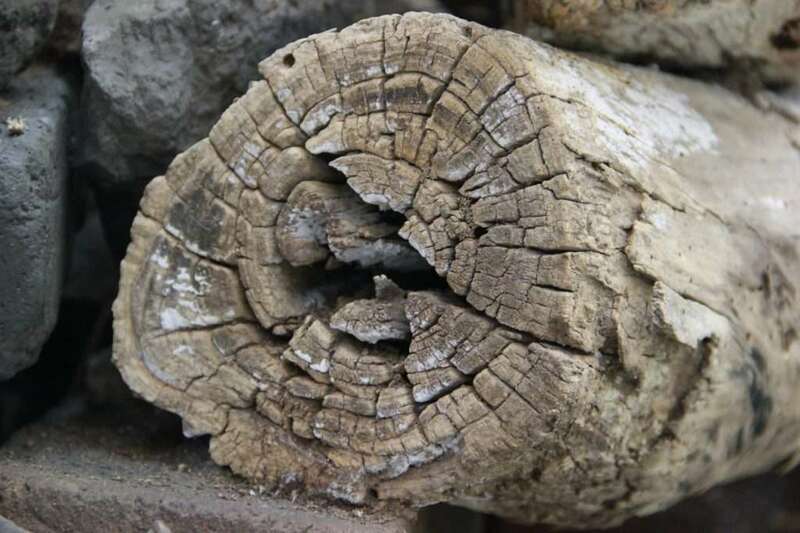 Try to put dead wood on stones so that it does not soak in moisture from the ground. If you cut back an old tree in your garden, you can leave the stem standing and watch to see which type of creatures will settle there. Some insects need spots with open sandy soil or clay to dig their nests underground. Even if you offer an insect a house/bug hotel, nearby sandy areas are essential so that solitary bees, for example, can obtain material to close their nests. You can try to seal the ground as little as possible and use grass pavers/turfstone where necessary. Every sealed area becomes a dead place. Instead, you could even try to green the vertical spaces by cultivating climbing plants, e.g., ivy or clematis. Different niches provide room for various guests. 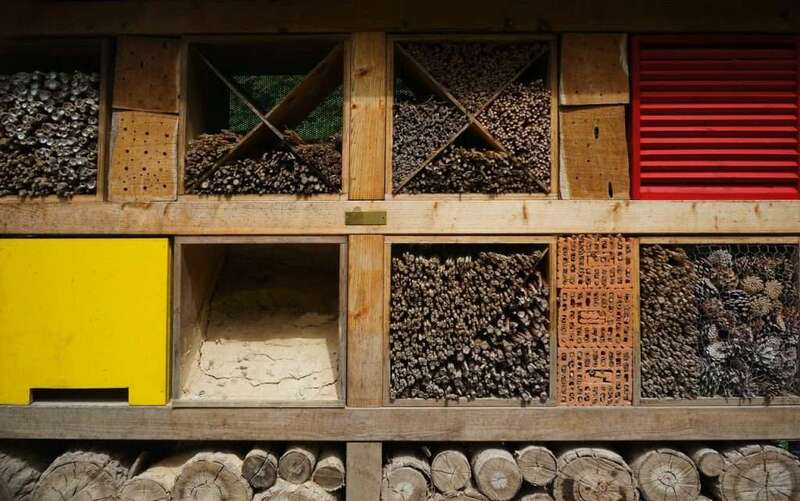 An insect hotel/bee house is a helpful tool if you would like to help bees, lacewings, earwigs, ladybugs or butterflies, for example. 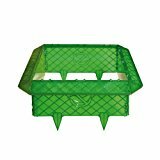 However, in principle, the measures mentioned above are more critical and cannot be replaced by installing an insect house. Build an insect hotel/bee house yourself (coming soon). No matter how hard you try to make your garden attractive to insects, first, you need to ensure not to harm them. 1. 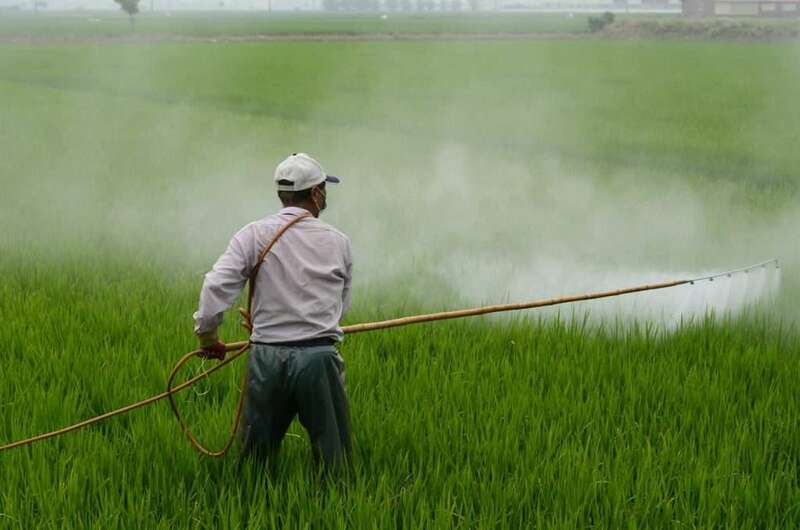 Chemicals/pesticides – if you use these, all will be in vain. You should also try to avoid biological insecticides (such as neem tree products). 2. Artificial light – if you install many garden lights, nocturnal insects will suffer. Therefore, try to avoid them and if you need them, only install warm white LED lights. 3. 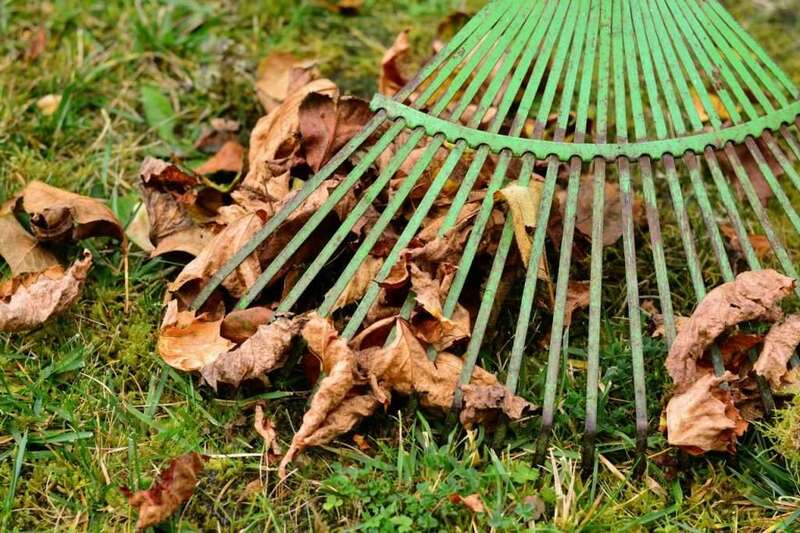 Cleaning up – many people clean up their garden in the fall and remove all the dead material (branches, leaves, flowers, etc.). Avoid that and try to leave the dead material in the beds until it gets warm in spring! Pesticides and monoculture are harming biodiversity. The most prominent mistake you can make is to use pesticides, especially insecticides. Herbicides and fungicides are also a problem for many insects. Most species of insects are extremely sensitive to the use of all types of chemical as they are dependent on an abundance of plants or fungi. Therefore, it is crucial to garden, if possible, without using any pesticides. You should perhaps even talk politely to your neighbors about this topic. If they use pesticides, it will affect your garden, too. Please note that – similar to molluscicides (slug poisons) – insecticides only achieve short-term success. In the long run, all types of pesticide are a disaster for the ecosystem as they disrupt the ecological balance. If you fight aphids with insecticides, for example, you also kill the natural enemies of the aphids (ladybugs, earwigs, lacewings, etc.). These types of intervention in natural checks and balances will retaliate. For example, the next year there will be a slug or snail boom as the insecticides also killed the slug-hunting beetles. In many places, nights are not dark anymore. 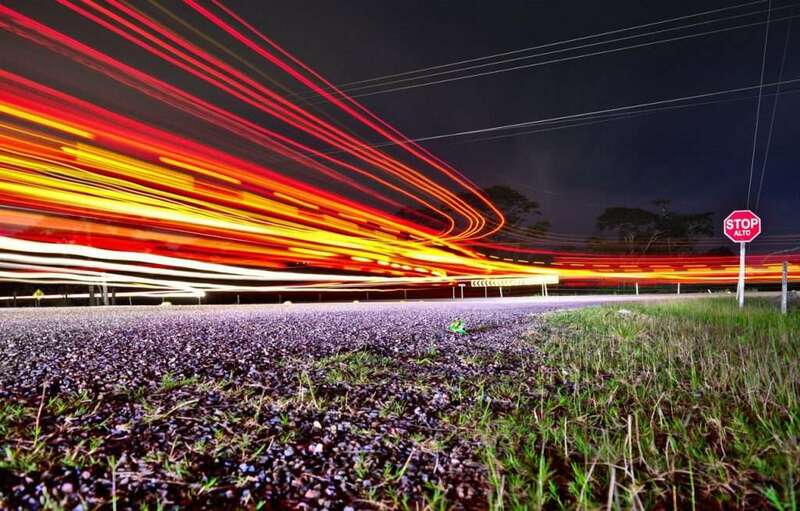 Light pollution can become a deadly trap for many insects. With extensive use of artificial light, nocturnal insects get more and more disoriented. They often end up on windshields or in spider webs. Therefore, you should try to avoid having unnecessary lighting on your property. There is a correlation between the emergence of street lamps and the growing number of slugs and snails. Maybe this is not a coincidence. For example, fireflies are extremely sensitive to light pollution. In many places, street lamps were the reason for their extinction. Therefore, it is helpful to avoid artificial light sources in the garden if possible. If you still need to light the garden or pathways, you can use warm white LED light (1000–3000 Kelvin). The reddish warm-white light of LEDs is invisible to most insects. Cold blueish white light, on the other hand, attracts them from far away. Ordinary bulbs and halogen lights contain a lot of blue light. Therefore, it makes sense to replace them with warm LED lights. The LED technology might actually be a blessing for insects. Make insects happy and leave the leaves in piles around your garden. If you do not clean up your garden in the fall, you can not only make hedgehogs happy, but also insects will love to reside in leaves, plant stems, and brush piles. You can wait to free the garden from the plants in spring when it is getting warmer and animals are not in need of shelter anymore. Dead plant stems, seeds and other remains of blossoms are vital for many insects during the winter. This also applies to many endangered solitary bees, for example. That is why you will always find plenty of plant stems or cavities that mimic them in bee houses. Reduce unnecessary light sources, pesticides, and meticulous clean-ups in the fall and even better, avoid them altogether. Promote plant diversity in the garden, as this will benefit insects and all types of animal. In some places, mow the lawn less frequently, so lawn herbs, for example, clover and daisies, can flower and provide food for insects. 4.3 (86.67%) 3 votes - Glad you are here.